Blemish Clearing Solutions Kit Only $19.95 + Plus FREE Shipping! You are here: Home / Great Deals / Blemish Clearing Solutions Kit Only $19.95 + Plus FREE Shipping! Start your outdoor life this Spring with clear skin! 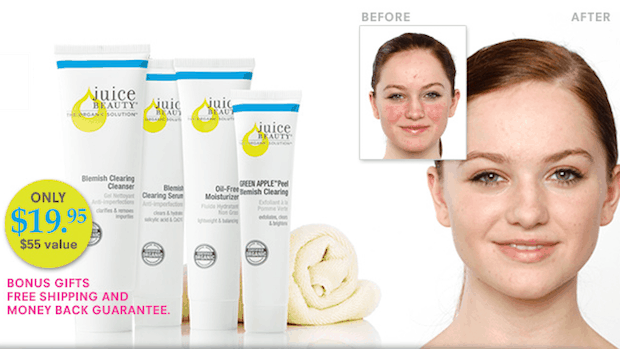 This Blemish Clearing Solutions Kit for Only $19.95 + Plus FREE Shipping is available to you from Juice Beauty! This kit comes with 3 Blemish Clearing products and 2 Bonus items! Grab this and other skin care deals every day at Juice Beauty!